It’s been two months since the arrival of Apex Legends. Yet, to date only one weapon, Havoc appeared in the Canyon of Kings. 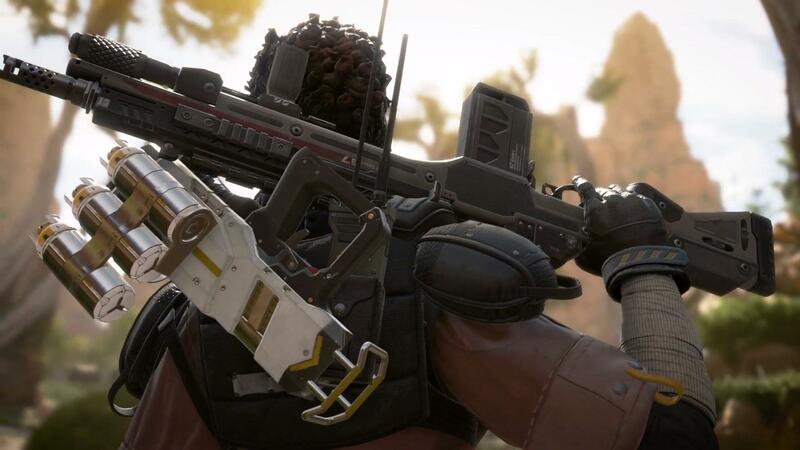 Today, data miners have found five potential weapons that could arrive in the coming months in Apex Legends. A month after the appearance Havoc, Apex Legends has not brought new weapons. But that some data miners have found five models of the unannounced weapons in the files of the game. Clearly inspired by Titanfalls, they have all their chances to join the Canyon of the Kings. Famous weapon of Titanfall 2, the EPG is an energy weapon. It was able to eliminate her opponents with one bullet. The weapon, however, had a low rate of fire and would fire shot by a bullet. The ARL was not present in Titanfall, nevertheless, it looks like the Sidewinder. The weapon is a kind of mixture between Havoc and Devotion. APL had a tremendous rate of fire and was formidable in mid-distance. It is possible that Respawn changes the entire weapon system, but keeps the Sidewinder skin. Also present in Titanfall 2, Archer is a real rocket launcher. Its arrival in the Canyon of the Kings could change many things because of his monstrous power. The explosion of its rocket would dislodge some campers in the many houses of Apex. The Defender looks a lot like Titanfall 2’s Charge Rifle. However, its use is identical to the loaded Havoc. Defender consists of loading a shot and then release a huge laser having a huge range. A must-have for Titanfall 2, the Softball is a grenade launcher. Indeed, in Apex Legends, the explosives are restricted by the three different grenades of the game. The arrival of Softball would diversify the gameplay by integrating a weapon capable of destroying a whole squad in a single ball. Like her counterpart Archer, she could also be an anti-camper solution. It is possible that these are Respawn’s ideas about future weapons as nothing official has been announced. For now, only L-STAR seems to be ready to go out in Apex. The game celebrates its two months and the content is not too much. So the players are starting to get impatient. It would be good for Apex Legends to renew itself to capture the attention of its players by incorporating novelties like these weapons. However, most of the weapons on Titanfall 2 were anti-titan weapons. It will be necessary to change the power of these weapons so that it is not abusive in the Canyon of the Kings. These images are only leaks. Nothing is official, and this information is taken with tweezers. In the meantime, we hope that Respawn does everything possible to put this kind of novelty into its royal battle. But do expect some changes coming up for the game in recent weeks.